Splatoon 2 is released today, and if you’re the type to wait on reviews before making a purchase, scores for the paint shooter have dropped. It’s looking like the Nintendo Switch has got another hit on its hands. Alex was also able to get his hands on the game, and while it’s a huge improvement on the original, he said players shouldn’t expect anything new. Announced in January alongside Nintendo Switch, the game includes both standard and special weapons, amiibo support, new stages, new abilities,the Inkopolis Galleria where players change up their appearance with some spiffy fashion choices and plenty more. Switch users can play the game using the either Joy-Con controllers or the Nintendo Switch Pro Controller. It also takes advantage of Nintendo’s new Switch Online app, but that’s turned out to be a bit of a disaster. In a first for the series, players will can compete in local multiplayer Turf War battles, whether in TV mode or on-the-go in handheld or tabletop modes. Online battles also make a return. Private Battle Spectator View is a new feature included in the game, which allows up to two non-players to spectate a Private Battle and act as camera operators. This is in addition to the eight players who fight in the Private Battle. 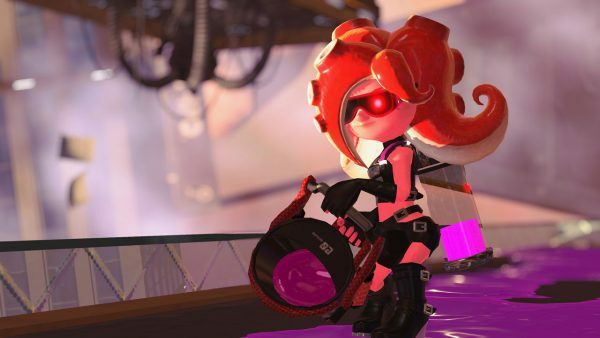 Splatoon 2, as previously reported, also allows up to eight Nintendo Switch systems to connect via local wireless to play Private Battles. But, there is a new feature included with the game called LAN Play. Here, players will connect their eight docked systems using a wired LAN setup to create local Private Battle tournaments without an Internet connection. Plus, with the Private Battle Spectator View feature, two additional Switch systems can also be hooked up to take to use the feature. For those who like a single-player mode included with multiplayer titles, the story-mode tasks the player with recusing a Squid Sister, and Hero Mode players need to rescue the Great Zapfish who has being captured by Octarians. Similar to Splatoon for Wii U, updates will continue to be released post-launch, adding new content to keep things fun and fresh. Splatoon 2 releases on July 21. A list of review scores are posted below. As usual, all scores are based on 10 being the highest unless noted. We’ll add more reviews for Splatoon 2 when they become available, but that’s a massive list up there and should be enough to get you started.